Deterioration of wooden fences is a common problem that can damage the curb appeal and value of any home. Save yourself a fortune and preserve your fence now to protect its beauty and your investment. Stain-N-Seal Solution is just the organization that you need to preserve your wooden fence. They are trained experts in fence preservation, including painting, staining, sealing, and cleaning. Homeowners often contact painters for this work, then have to spend more money to repair the fence when the paint chips and the wood splinters. Avoid this frustration. A properly preserved wooden fence can be protected for as long as 30 years. Whether you have recently purchased your wooden fence or have owned one for some time, it is recommended that fence preservation be done as soon as possible. Let Stain-N-Seal Solution professionally treat and preserve your structure. Stain-N-Seal Solution’s craftsmanship is backed with a 2 or 3-year warranty for a one-time free touchup, up to a pre-determined amount of linear feet. In addition, they will provide your builder with proof of treatment upon request. Inquire for details and restrictions. Stain-N-Seal Solution is Atlanta’s Premiere Wooden Fence Preservation Company, and one of the most experienced companies in this field. Our professional sales consultants are committed to your vision. We can suggest and create “Fence Envy,” a custom finish. We will provide excellent service at a very fair price. Anyone considering the purchase of a new wooden fence whether cedar, pressure treated pine, or any other wood, should allocate at least 37% of the fence’s original price toward the cost of treatment. The best time to get your fence treated and preserved is within two to four months of installation. The longer you wait, the greater the expense for treatment may be in the end. We have provided first class service to an extensive list of clients for over 15 years. 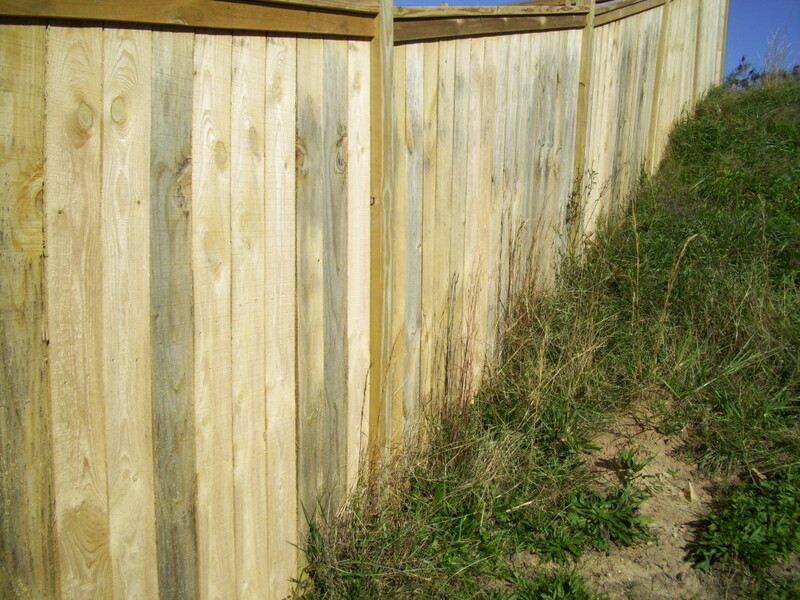 We have the superior skills, experience, and professionalism to preserve and restore your wooden fence. Contact us today for an estimate.